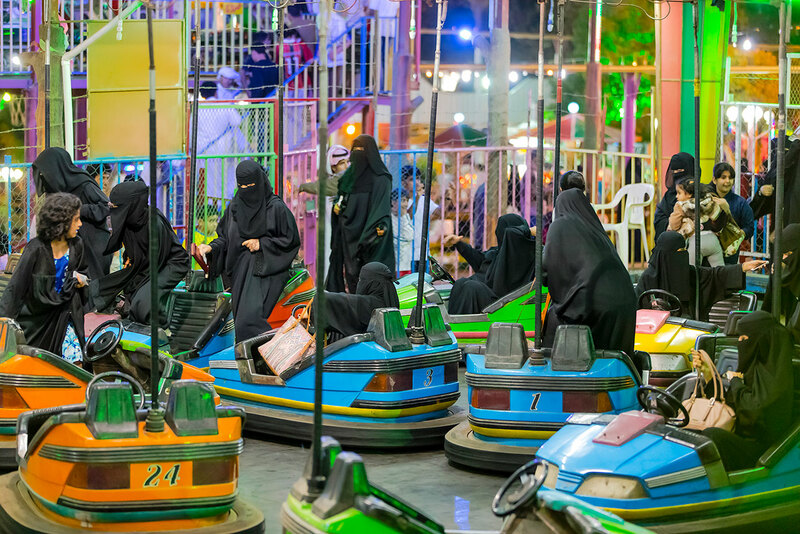 JEDDAH, Saudi Arabia — In the Arab world, it’s not an easy task to voice an opinion that goes against the cultural norm. The average person would usually be shunned for doing so, often persecuted. But over the past eight years, in the Middle East’s most conservative corner, Saudi Arabia, some have been able to get their hands on a great weapon: art. Accepting the terms of censorship and finding a way to integrate them into their work, artists are able to get away with subversion when government or religious officials ask what their art means. It’s impossible to know who the women in these photographs and videos are, but observing their behavior, especially in the short videos, is entertaining. As the artist explained, her intent is to offer us humor, although upon further contemplation, the images also evoke sadness. 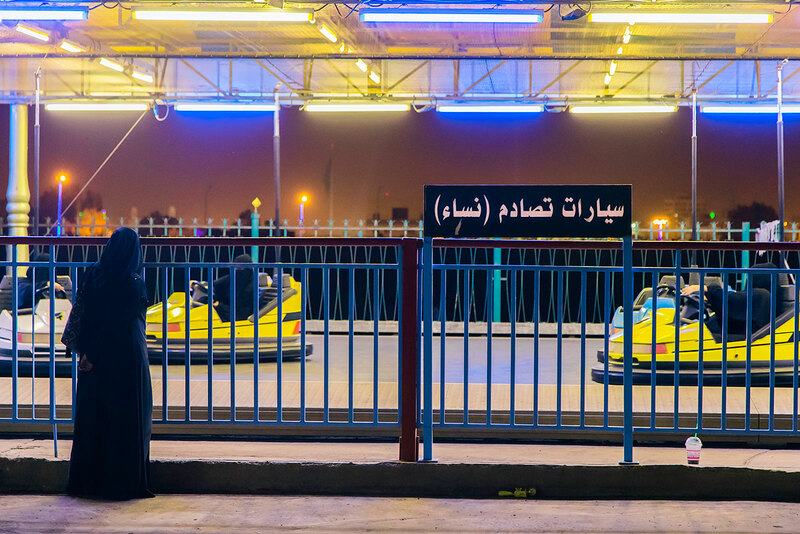 In the video of the bumper cars, the women try to drive safely and avoid actually hitting cars. In the video of the Drop Zone, they scream, and of course, their abayas lift a bit and their pants show. 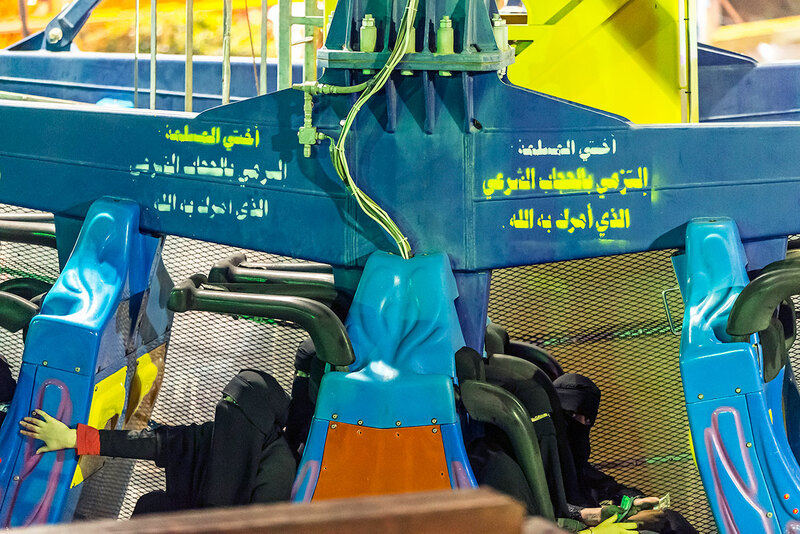 “I had to hide behind a wire mesh fence, where I stuck the camera lens and discreetly shot women enjoying the Drop Zone ride and screaming,” said Al Neami. 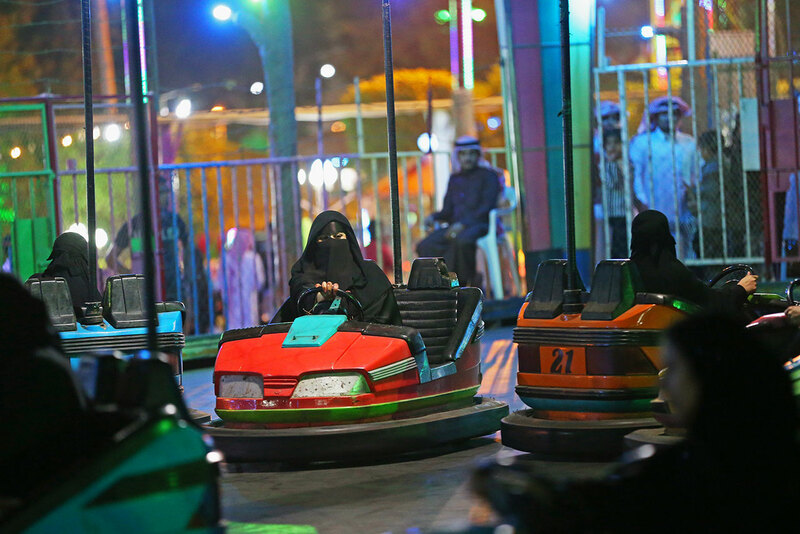 Both videos are funny but also disheartening, especially when you see how the women on the Drop Zone quickly react and try to put their abayas back into place instead of just enjoying the ride, like their male counterparts would. 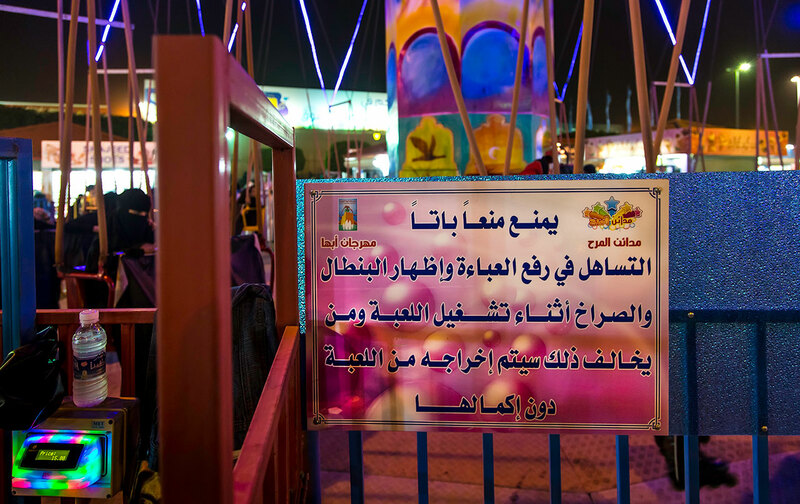 “There were indeed some women who were asked to step down from the rides because they were screaming ‘very loud,’” Al Neami said. I wondered how anyone could tell which women were responsible. 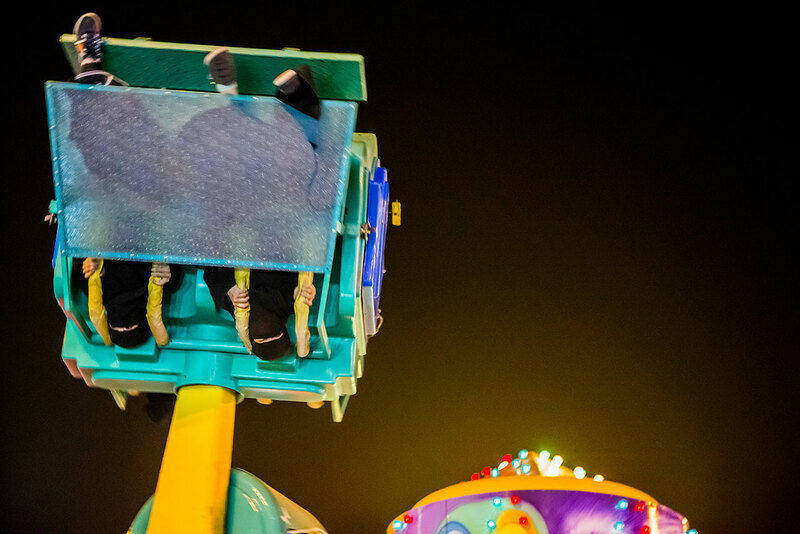 What’s most fascinating is the extent to which people will go to conform to their ideologies, defying the joy of screaming on a rollercoaster. And how a young artist can defy austere conventions and capture humor in a sad situation. Never Never Land continues at EOA.Projects (40 Elcho Street, London) through January 31.